If Christopher Columbus had docked to pick up water and supplies at El Hierro instead of La Gomera the chances are the course of history would have been completely altered. He wouldn’t have wanted to leave and America would probably have been discovered (again) by someone else. I’m not saying La Gomera isn’t an enchanting island but it is harsh, rugged and difficult. El Hierro, on the other hand, would have seemed like paradise. 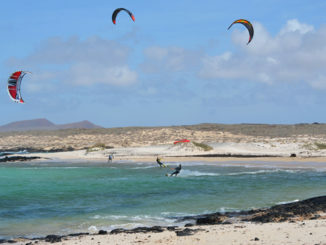 The perfect climate, beautiful, lush and with flat plateaus – not something that’s common on the western Canary Islands. 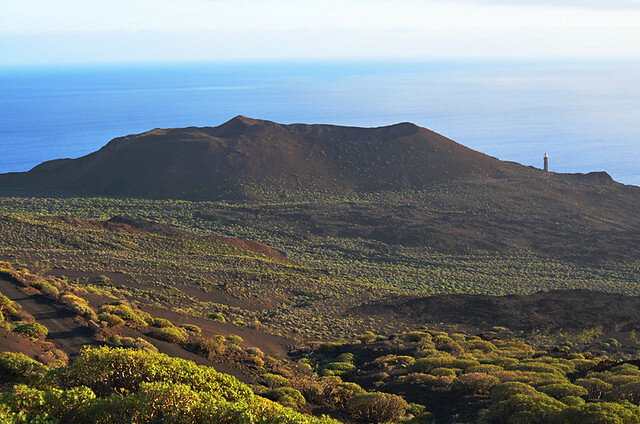 The tiniest Canary Island is usually overlooked in favour of its tourist-attracting bigger siblings. 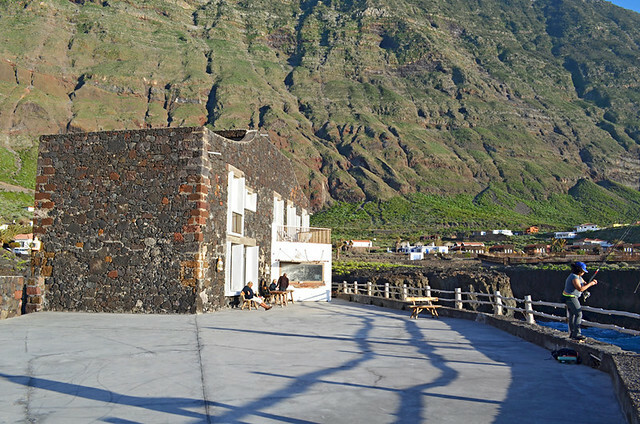 Even quiet La Gomera is over developed for tourism by comparison. 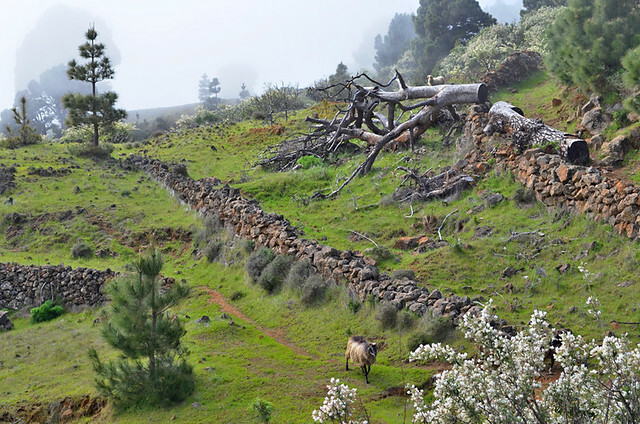 El Hierro has been described to us as being like a mix of the other Canary Islands rolled into one. I’d have to disagree. 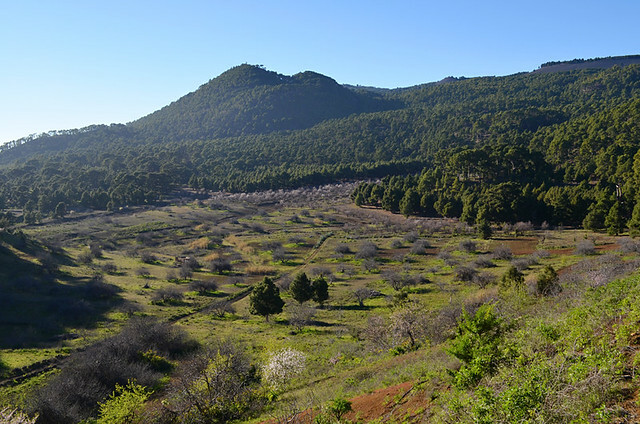 Whilst it has characteristics common to some of the other Canary Islands, there is something completely different about the island that was once thought to lie at the end of the World. After this here be dragons. And once you visit the place, it’s easy to believe such a fanciful notion. 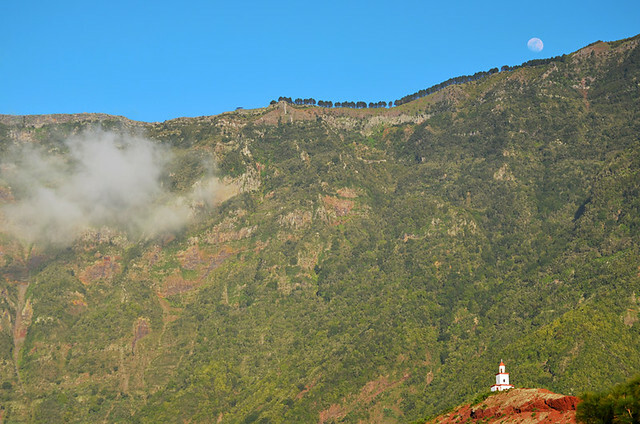 El Hierro… here be mysteries. 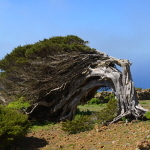 These are a snapshot of some of the places and quirky attractions on El Hierro that wooed us. 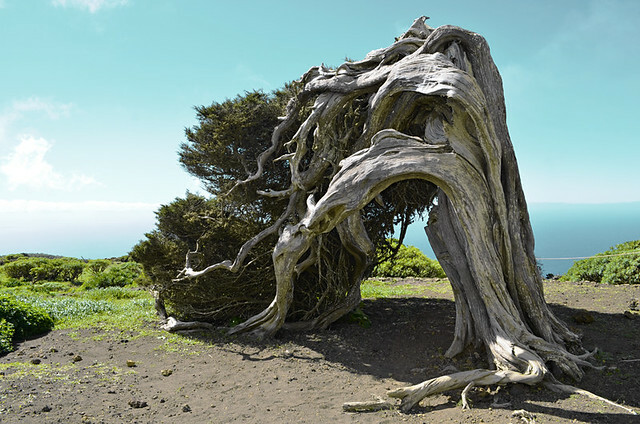 We’d seen pictures of this fantastical, twisted mutant of a juniper tree that is one of the symbols of la isla del meridiano. But to see it in the flesh, for petrified flesh it could easily be, is something different. 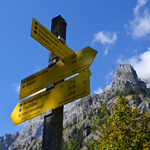 Twisted, windswept and beautiful shapes cling soulfully to the western slopes. Their branches sweep across the ground, shaped by the wind, giving them the appearance of flowing, silver locks. The imagination races – a forest of witches perhaps. Anything is possible at the end of the World. I first saw this image in a guidebook over 10 years ago and wanted to capture it from the moment I set eyes on it. A lone tower on a volcanic cone. 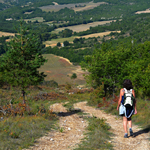 It looked like it was one of those places where you’d have to trek for three days with a mule train to get to. It isn’t. 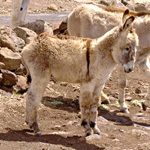 It sits in La Frontera in El Golfo; no trekking at all involved. Still, seeing the detached bell tower of the Iglesia de Nuestra Señora de la Candeleria sitting on top of Montaña de Jaopira lived up to a decade of expectation. We desperately wanted to visit the point that was once the very end of the World and after that, the meridian. But with one way around the island closed by rockfall and the other a long, twisting drive through pines, we arrived at a dirt track overlooking the last outcrop of land before America, too late to complete the final section on foot. As we weren’t going to risk the car’s tyres this was as close as we got to the Orchilla lighthouse. From far west to Europe’s most southerly point, La Restinga. La Restinga is a pleasant, if unremarkable, fishing village known for having superb diving sites in the waters that lap its coastline. In 2011/2012 an undersea volcanic eruption about 2 kilometres from the coast made the international news headlines and an image of the undersea eruption won the NASA image of the year. 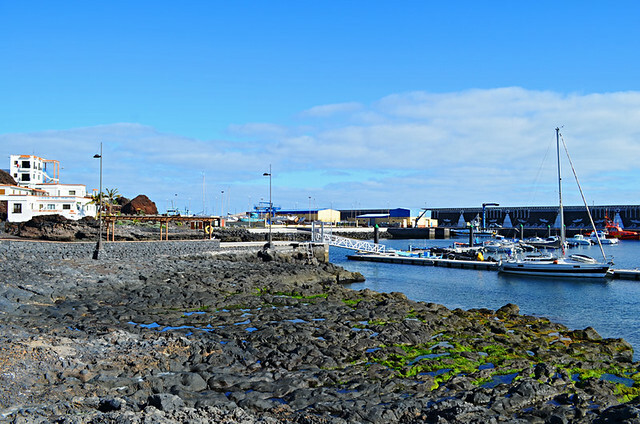 In 2014 the sea beyond La Restinga was clear and calm with no signs of the bubbling activity that caused the town to be evacuated back at the height of the undersea action. The Hotel Puntagrande might no longer hold on to the title that earned it an entry into the Guinness Book of Records in 1989 but it is still a place that puts a smile on your face thanks to its quirkiness and wow-inducing position. After a long day’s hiking in the hills a sundowner here tastes especially refreshing. 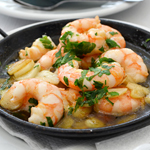 Most people associate the Canary Islands with bananas. 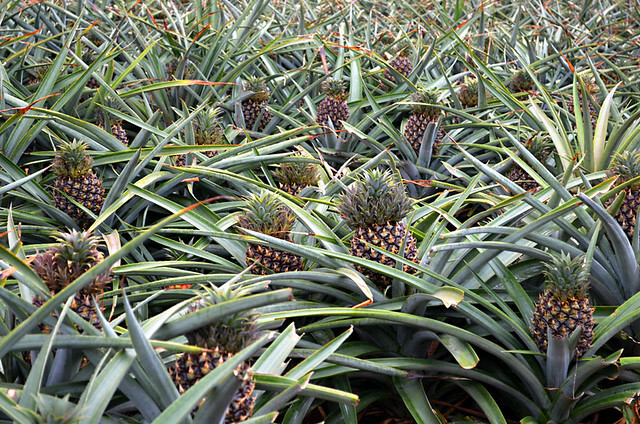 El Hierro stands apart from the usual Canary crowd by producing pineapples. Bananas, papayas and all sorts are grown on El Hierro as well, but it’s the pineapple that really sets it apart. Driving along the road through El Golfo’s pineapple fields you occasionally come across a reed covered, rough and ready bar filled with thirsty plantation workers. 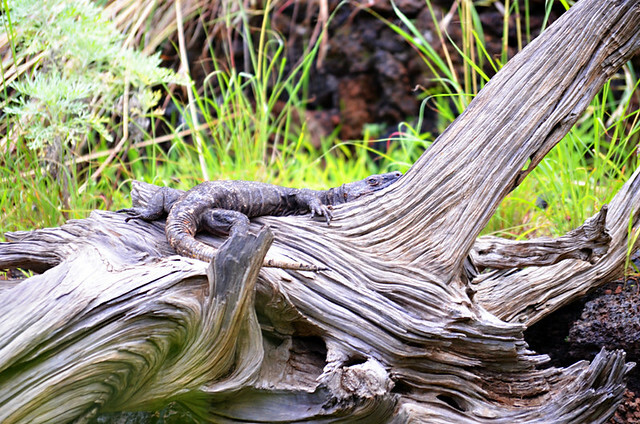 Juan de Betancourt in 1404 described El Hierro’s lizards as being as large as a cat. Ironic really as it’s the islands cats that are most likely to eat the lizards. One visitor in 1779 thought they were so big he declared them to be small alligators. As they were about 85cm long he was a bit of an exaggerator. However, they are pretty impressive. We saw six of them lounging at the Lagartario in El Golfo. I was so fascinated I didn’t quite get the settings right on my camera so apologies for the dodgy image. …. or parts of Wales, Scotland, Cornwall etc. We’d been told this by various visitors and pictures we’d seen backed the claim up. However, when we suggested this to a UK travel editor a couple of years ago, they scoffed and sneered at the idea; insisting it was nonsense. So **** *****, this is just for you. Thanks Sue. All of these places were on my tick list before I got there but it turned out there were a lot more incredible places we didn’t know anything about. We were absolutely smitten.